Summer is finally with us and there is no better time to have a great day out with your family, than visiting a fabulous summer show or event. There's a welcome waiting for you at many attractions across Wales and the Midlands this Summer. 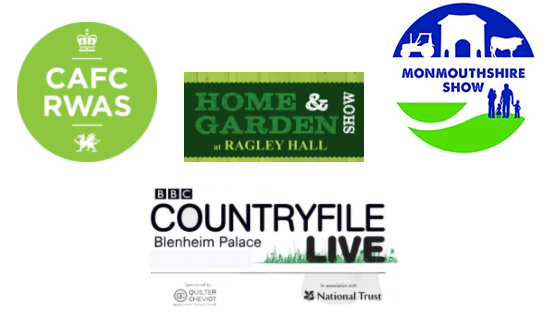 From the Royal Welsh Show, to the Home and Garden Show at Ragley Hall, to the Monmouthshire Show, you will find great places to visit with your family and friends. Whilst you enjoy one of the events below, why not visit our Brilliant Wall Art stall and take a look at the brilliant garden items and superb metal wall art, on display. Times: - 8:00am until 5.00pm in the Main/Horse Ring…7pm show closes. Come along for a magnificent day out to the Monmouthshire Show situated on the banks of the River Wye in an Area of Outstanding Natural Beauty. The Monmouthshire Show is the biggest one day show in Wales and remains committed to the support of agriculture and combines the best of town and country. Visit our Brilliant Wall Art stall, agricultural Events and demonstration, Farming and Livestock, Horse Competitions, Horticulture, Dog Competitions, Craft Marquee and Shopping, Amusements, Food Hall, Trade & Event Stands and much, much, more. Ragley Hall is the stunning 18th century backdrop for what is arguably one of the best Midlands home and garden events of the summer calendar, with over 60 exhibitors, experts and designers on hand to answer your questions and meet your home and garden requirements. It is just one of the many Ragley Hall events held regularly throughout the year. Quiz gardening experts in our FREE Gardener's Question Time, learn new skills in the FREE Cookery Theatre or just meander around the beautiful house and grounds enjoying the spoils of the Fine Foods Marquee. Whether it's Brilliant Wall Art garden items and metal wall art, or a hot tub, barbecue hut or designer decking you're in the market for you'll find all bases covered in the outdoor garden exhibition. We've got the inside covered too with soft-furnishings and innovative homewares galore. Looking for lifestyle or design ideas? You'll find the exhibitors both knowledgeable and accommodating to any interior or exterior need. The Royal Welsh Agricultural Society are the proud organisers of this event. It is the pinnacle of all British agricultural shows. The Society was formed over 100 hundred years ago, in 1904. There were 236,853 in attendance in 2016. The programme for the week is packed full of competitions such as shearing, dancing, stock judging and flower arranging. Why not visit our Brilliant Wall Art stall? 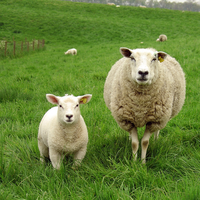 There are many British livestock competitions, Food Hall, Forestry, Horticulture, Crafts, Countryside Sports, Shopping, Food and Drink and many more Attractions & Displays. We're exhibiting some of our best selling metal wall art, resin wall art, wooden signs and more, at these events, so hurry whilst stocks last. Many of our pieces of wall art are on sale at these events with large discounts on selected items. The Fire Summer Tree Branch metal wall art, is a stunning piece finished in red colour tones. It is easy to hang and measures approximately 34cm (13.5") high by 34cm (13.5") wide. The Four Shabby Chic Boats at Sea metal wall art is superbly made with a distressed shabby chic finish. It is constructed from formed metal and finished in rustic cream, orange, and brown colour tones. It is ideal for the bathroom and easy to hang using the rear mounting brackets. The Garden Mirror Wall Planter is a really useful wall mounted flower pot storage space or planter. It is Ideal for any garden and has a distressed aged effect finish. The oval mirror detail is full of vintage charm and character. Finally what about a Garden metal rooster watering can? It is a practical and fun item for the garden, being handmade and hand painted. It is individually boxed and ideal as a perfect gift for the gardener in your life. Brilliant Wall Art provides the best value metal, glass and canvas wall art across the UK, with numerous contemporary metal wall art designs for both the home and office. Why not take advantage of our multi-buy promotion? You could save up to £30 on your wall art. Simply spend a few minutes browsing our webpages, we offer a myriad of products and ideas.